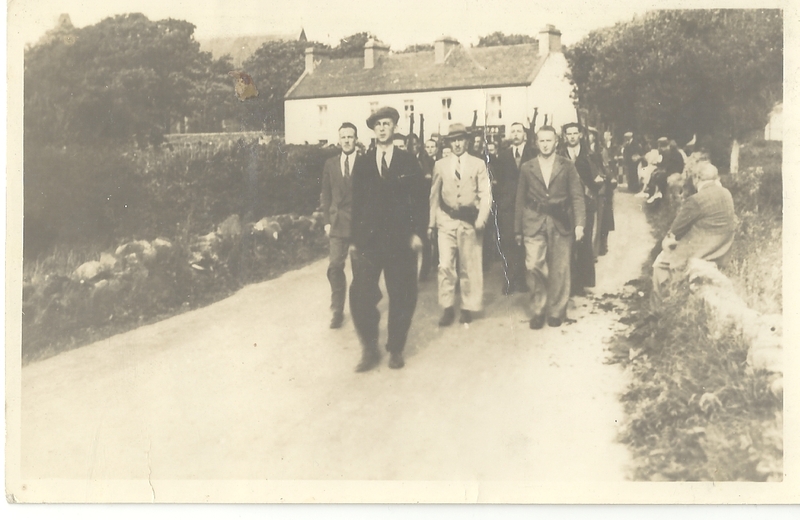 Photo of Old IRA manoeuvre at Lecanvey with Staunton's Pub in background. Parade is led by James Chambers (Broddy) of Castlebar. Can anybody name any others? Can anybody supply a date for this event? Was it during War of Independence or Civil War?